This is one of my most requested meals – and probably my personal favorite. It is savory and rich and full of flavor. Pretty simple too – not a lot of ingredients, and can be prepared start to finish in just about an hour. Not typically one of my weeknight meals, but a weekend go-to for sure! The pork cooks to a perfect medium and is so juicy and tender. 2.) Salt and pepper the pork; coat with 4 to 5 tbsp Dijon mustard. Heat olive oil in large dutch oven over medium-high heat. Add pork and sear on all sides. Remove from dutch oven and place in casserole dish. Bake for 20 minutes, turn over pork and bake for 20 more minutes. 3.) 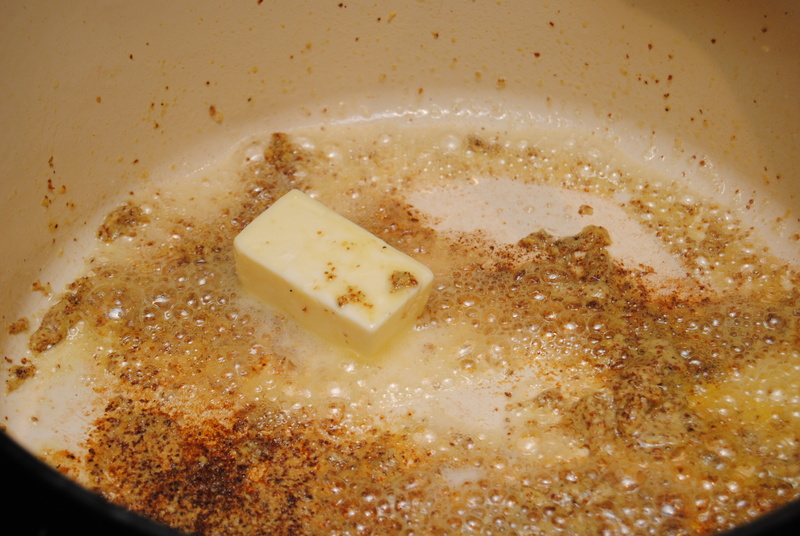 In the dutch oven where pork was cooked, add butter and saute shallots until soft. 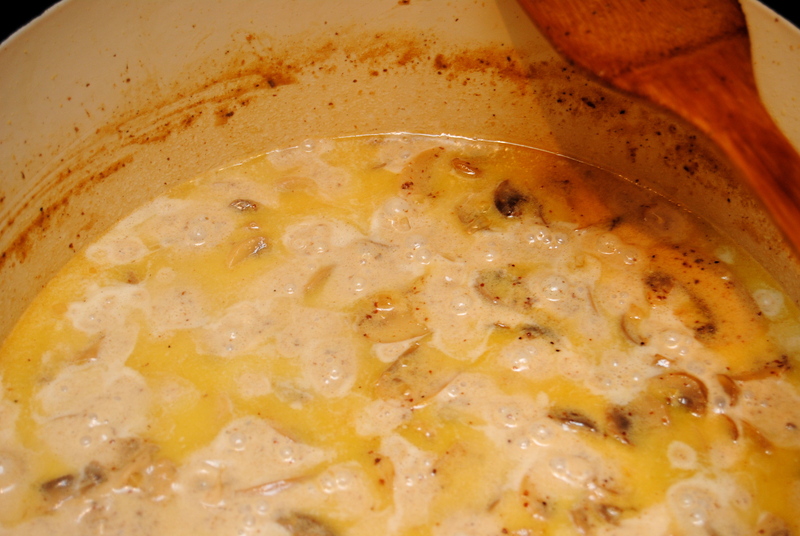 Add mushrooms and deglaze with the marsala wine. Stir in heavy cream and remaining mustard. Cook until reduced by half (will take about as long as pork is cooking). Stir frequently. 4.) 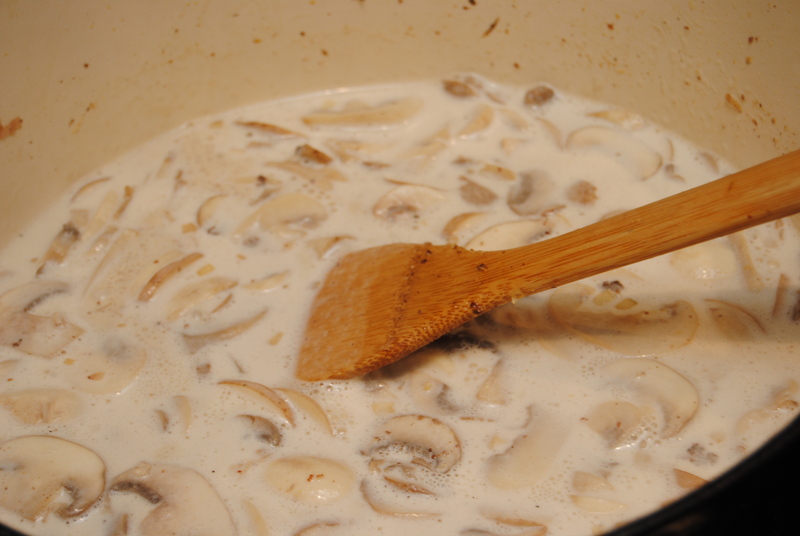 Serve pork with the mushroom marsala sauce on top. 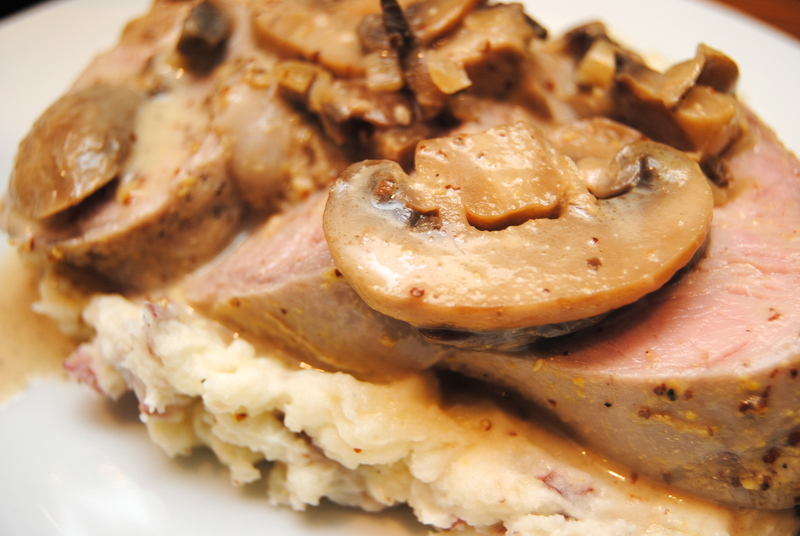 This pork goes great over mashed potatoes, but that marsala sauce would go great over anything! Enjoy! 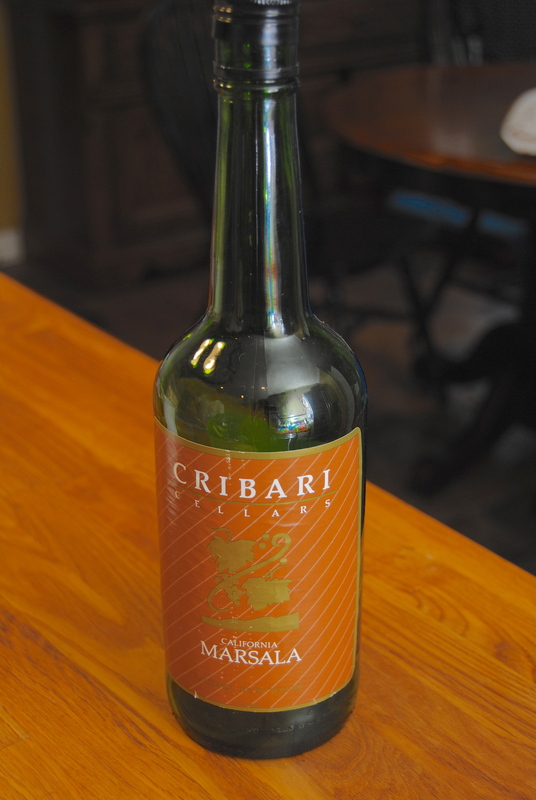 This is the Marsala wine I always use – I get it at Publix and it’s only $6! 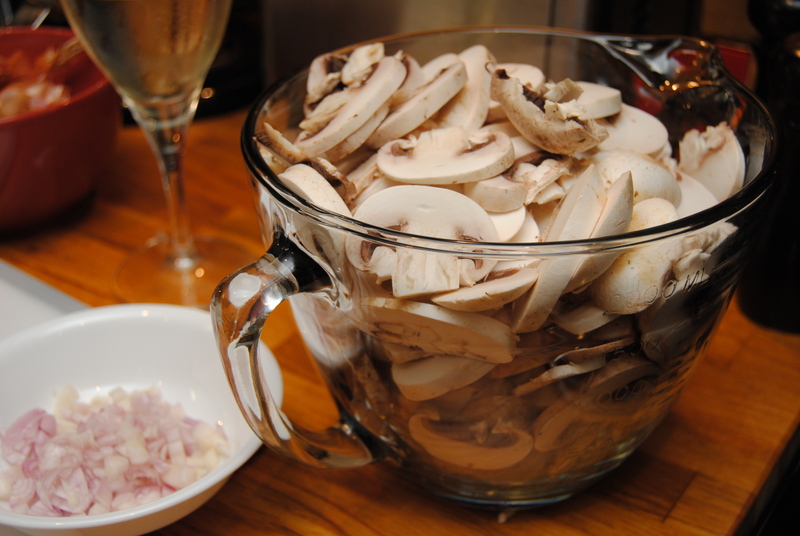 It’s a lot of mushrooms, but trust me, you’ll be glad you have them all! You don’t have to be perfect with the Dijon – just slather it on there! The drippings from the meat cooking will give this sauce so much flavor! As you can see, the sauce goes from pretty light and thin, to darker than thicker (below). This entry was posted in Food and tagged Cook, Dijon, Dinner, Food, Grey Poupon, Marsala wine, Mushrooms, Pork, Pork tenderloin by biscuitsncrazy. Bookmark the permalink.